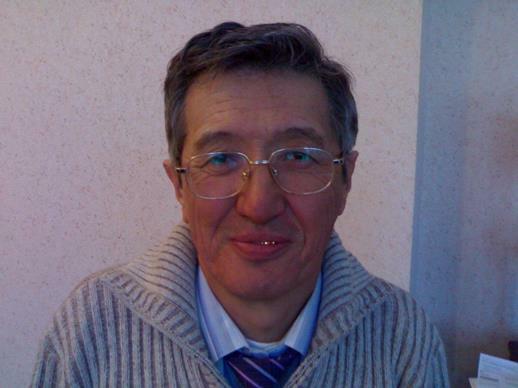 The protracted trial of a retired Kazakh pastor ended yesterday (Feb. 17), as 67-year-old Bakhytzhan Kashkumbayev was handed a suspended four-year prison sentence and a fine. Kashkumbayev, former pastor of Grace Church in the Kazakh capital Astana, was ordered to pay 2 million Tenge (€7,900) in damages to Lyazzat Almenova, a female congregant whose health the pastor was convicted of “harming”. His jail term was suspended for three years. The pastor, whose movements will continue to be restricted, is expected to appeal. His son Askar told World Watch Monitor that the pastor has been ordered to remain within Astana during the day and to sleep inside the church compound at night. The case against Kashkumbayev dragged on for months after his arrest in May last year, when he was charged with the psychological manipulation of Lyazzat Almenova, 34, through the use of a “red-coloured hallucinogenic drink”. Other members of the congregation claimed the drink was a harmless, non-alcoholic beverage used as part of the church’s Holy Communion – to represent the traditionally used, and symbolic, red wine. Almenova told Forum 18 her pastor was “totally innocent”, but the state arrested Kashkumbayev after Almenova’s mother claimed her daughter’s attendance at the church had damaged her mental health. The pastor was moved to a psychiatric ward in Almaty, the former capital, on July 19, and ordered to remain there until Sept. 17, while he underwent psychiatric examination. He was released early from the ward on Sept. 8, then moved back to prison. After a court hearing on Sept. 10, the judge set a date of Oct. 17 for the resumption of the case, but the date came and went. Three weeks ago, the trial resumed only to descend into further chaos as the pastor and his lawyer stormed out of the courtroom, even after several of his original charges were dropped. They claimed the whole court procedure had not been handled properly, with the judge not listening to the petitions. Kashkumbayev’s lawyer Nurlan Beysekeyev told Forum 18 that the trial was “one of the strangest” he had seen. “It was not just strange, but from the standpoint of the law, all types of violations occurred, when the case was opened, when it was being investigated and during the trial,” he said. Almenova’s sister Guldana, who was appointed by the court to represent her sister, told Forum 18 she was satisfied with the verdict. “What do you think my reaction to the verdict is? The court recognised that he [Kashkumbayev] is guilty of causing serious harm. I’m satisfied,” she said.